The Virgo four-in-hand tie by After Six completes the look that the Virgo vest started with impeccable taste. 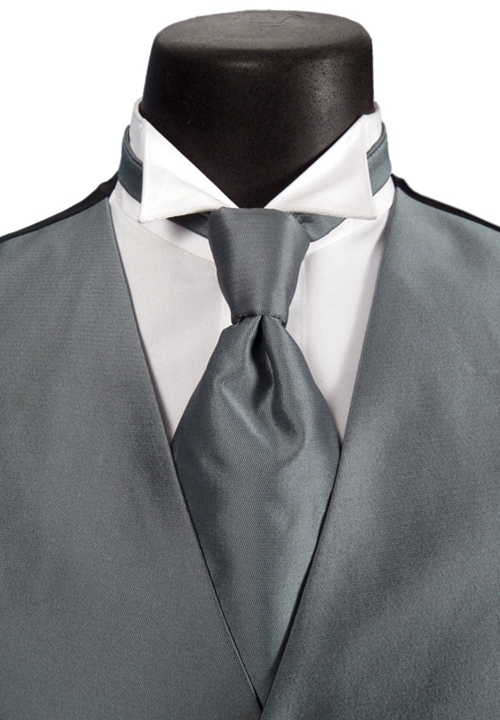 Fashioned from the same Poly/Satin material as the vest with the mini herringbone stripe, this four-in-hand tie is the standard and perfect compliment to the Virgo vest line. It is the icing on the cake for a classic style.